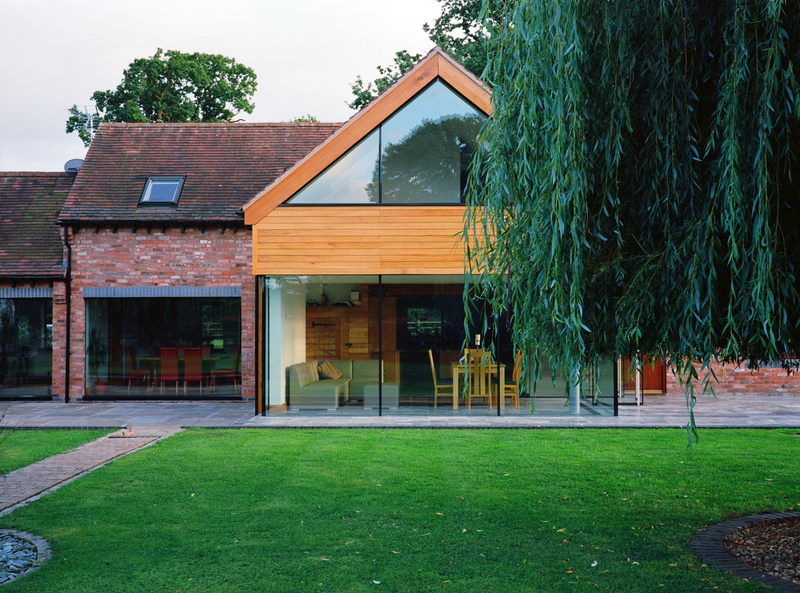 Extension and modifications to a barn conversion in Tanworth in Arden. 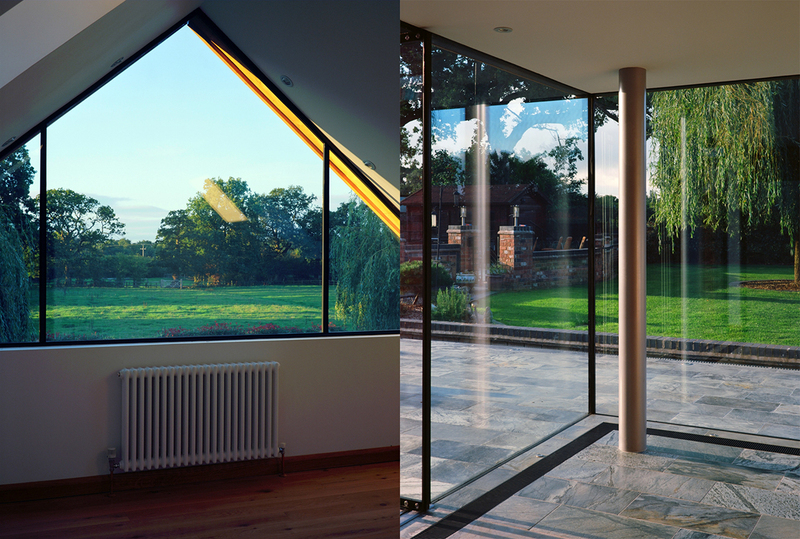 The owners of Ashford Barn wanted to extend their home and create a new family space facing their garden and open countryside beyond. 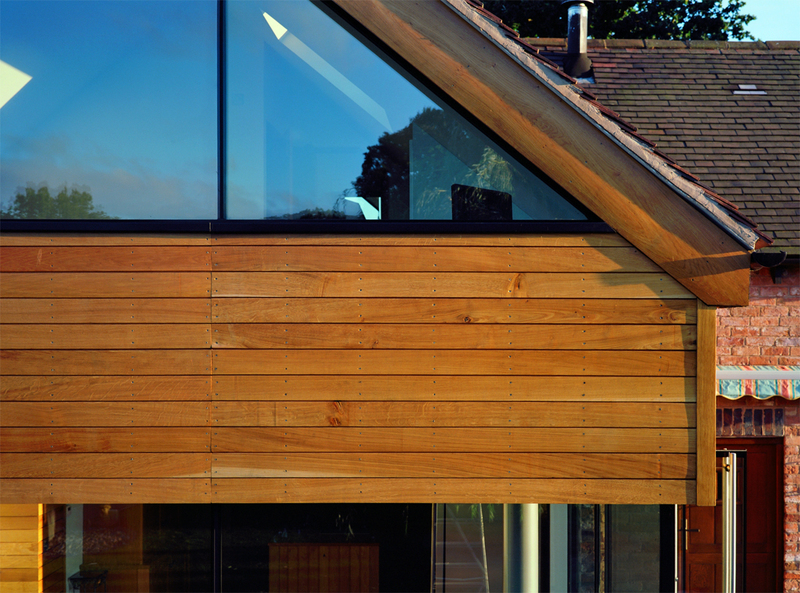 We focused on keeping the design as simple as possible with frameless glazing and oak cladding. We wanted the new building to land softly on the site and the structure was designed so that the first floor appears to float above the ribbon of glass below. 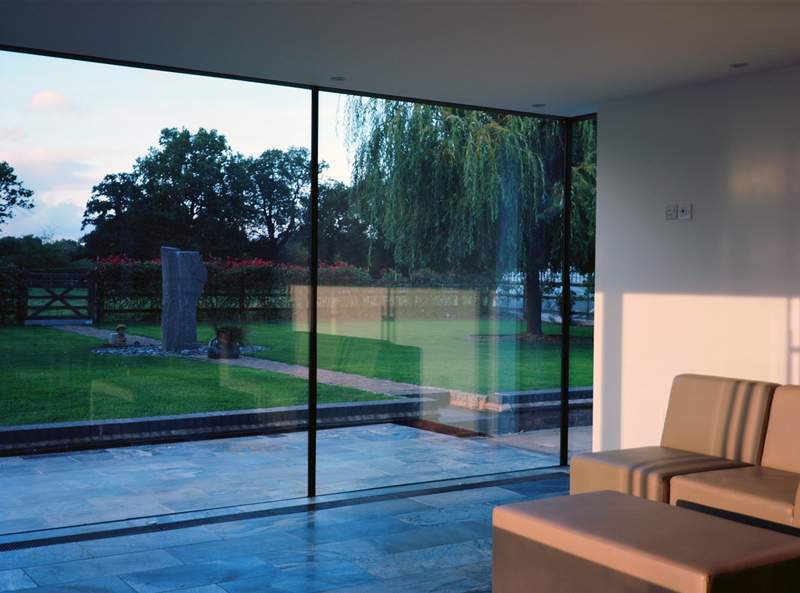 Frameless glazed doors are positioned on the side elevation whilst the rear facing glazing is kept free from any framing. An aligned stone terrace travels from inside to out seamlessly helping to make the new building feel part of the landscape and vice versa. A master bedroom suite was created on the upper level with a completely glazed gable with uninterrupted views out. Ventilation and summer cooling is achieved with a series of rooflights allowing the warm rising air to leave the building. We also made modifications to the existing building in order to give a better connection to the garden, brighten the interiors and help link the existing and new building styles together.